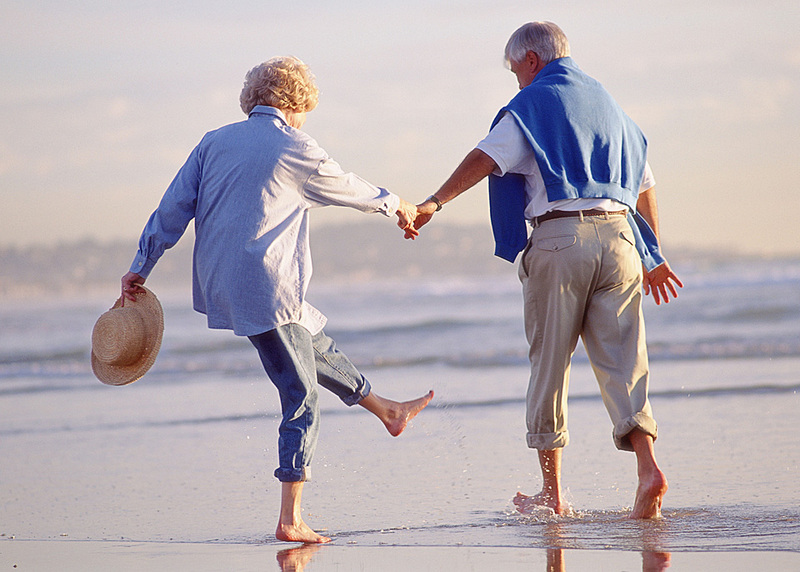 Do you want to support your seniors to care their own way to better health in retirement? 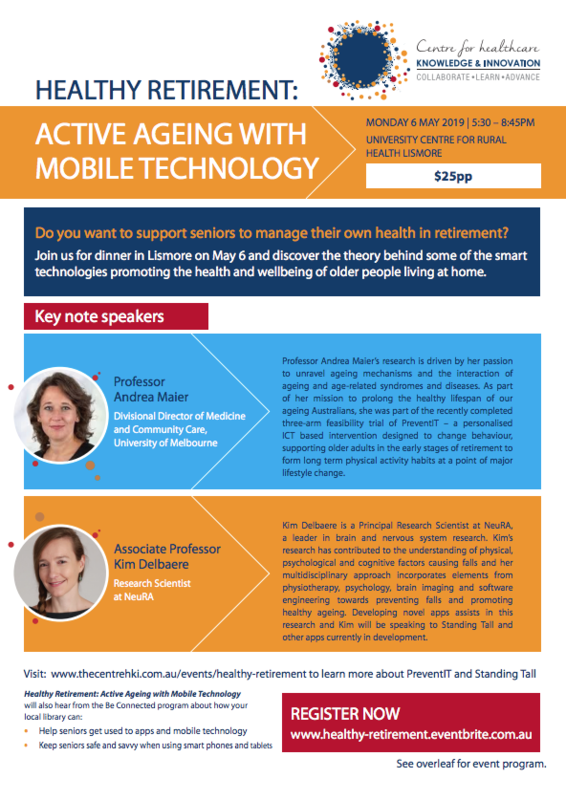 Join us for dinner and dessert in Lismore on May 6 and discover some of the smart technologies that promote health and wellbeing of older people living at home. Professor Andrea Maier’s research is driven by her passion to unravel ageing mechanisms and the interaction of ageing and age-related syndromes and diseases. As part of her mission to prolong the healthy lifespan of our ageing Australians, she was part of the recently completed three-arm feasibility trial of PreventIT – personalised ICT based interventions designed to change behaviour, supporting older adults in the early stages of retirement to form long term physical activity habits at a point of major lifestyle change. Kim Delbaere is a Principal Research Scientist at NeuRA, a leader in brain and nervous system research. Kim’s research has contributed to the understanding of physical, psychological and cognitive factors causing falls and her multidisciplinary approach incorporates elements from physiotherapy, psychology, brain imaging and software engineering towards preventing falls and promoting healthy ageing. Developing novel apps assists in this research and Kim will be speaking to the apps currently in development. StandingTall is an engaging balance training program that is designed specifically for use by older people. 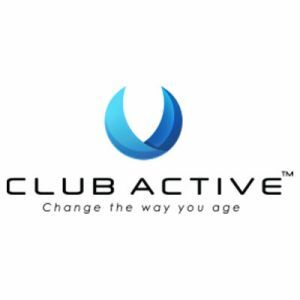 It was developed using the latest insights in geriatric and translational neuroscience, and employs mobile (tablet) technology to deliver an effective method for improving balance and reducing fall risk. StandingTall includes: effective, individually-tailored exercise prescription to improve balance ability and reduce fall risk in older people; and behavioural change techniques to enhance exercise uptake and long-term adherence, with optimal usability for older people to use independently at home. By combining technology with research in fall prevention, StandingTall provides a radically new solution to support older adults to stay independent for longer and lower healthcare-related costs caused by falls. We will also hear from the Be Connected program about how your local library can help you get your seniors used to using mobile technology and how we can keep our seniors safe and savvy when using mobile technology.